Wellington:New Zealand skipper Kane Williamson has claimed the Sir 'Richard Hadlee Medal' for the men's Player of the Year at the annual New Zealand Cricket Awards which was held in Auckland. On Thursday, he was also awarded the best Test player and the Redpath Cup for First-Class men's batting.Williamson had a hugely successful year across formats, both individually and with the New Zealand team. Under his leadership, New Zealand rose to become the No 2 side in the ICC Test Team Rankings. 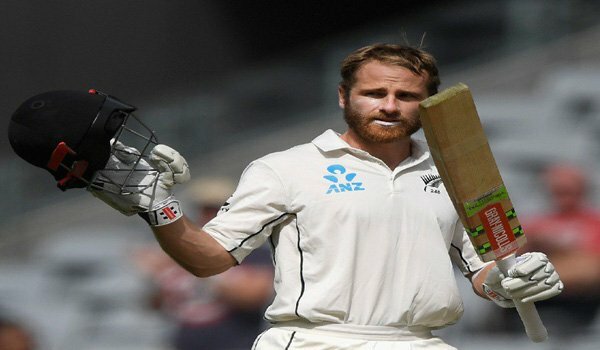 He shone with the bat in the Test arena where he scored 801 runs over the season at an average of 89.In December 2018, Williamson also became the first New Zealand batsman to breach 900 ratings points in the ICC Test Batting Rankings, and is only nine points behind the No 1-ranked Virat Kohli. Senior batsman Ross Taylor was named the Men's ODI Player of the Year for the second year in a row. In 2018, Taylor scored 759 ODI runs at an average of 84.Fast bowler Trent Boult, who received the Richard Hadlee Medal last year, was presented the Windsor Cup for first-class bowling, for his 35 wickets at an average of 24. In Women category, the teenage sensation Amelia Kerr was named ANZ Women's ODI Player of the Year and took home the Phyl Blackler Cup for women's domestic bowling, along with the Gillette Venus Cup as the Secondary Schools Female Player of the Year. The 18-year-old amassed 415 ODI runs over the judging period at an average of 59, including a world record 232 not out against Ireland, a match which also saw her claim 5-17 in an overall tally of 19 wickets for the season.